Hi Everyone! Welcome to the very FIRST ROUNDUP of 2015! I am so excited. This weekly series of GIVEAWAY listings was by far my most popular set of posts in 2014. I wanted to figure out a way to keep doing these posts every week but also make it more efficient for me (i.e. Stay Sane). 1. I will start the Roundup Post every Tuesday night by 11:59 EST. You can link up your posts any day of the week but the most common day to do so is Wednesday. Make sure to add in your GIVEAWAY ending date. Each linkup will be open for one week only. 2. Entries that are not associated with a GIVEAWAY or linked to your homepage will be deleted. 3. Link back to Running with SD Mom so others can enter to #WinAllThePrizes too! You can use the above graphic if you'd like! 4. The thumbnail in the linkup should be a picture of the item / service / product you are giving away. 5. MOST IMPORTANT: You MUST visit the person's blog who linked up directly before you and leave them a motivating comment and enter their GIVEAWAY. This is the most important part of the linkup. We want lots of entries for all the GIVEAWAYS and we want to help each other out. This is MANDATORY! Of course, feel free to enter to #WinAllThePrizes too. 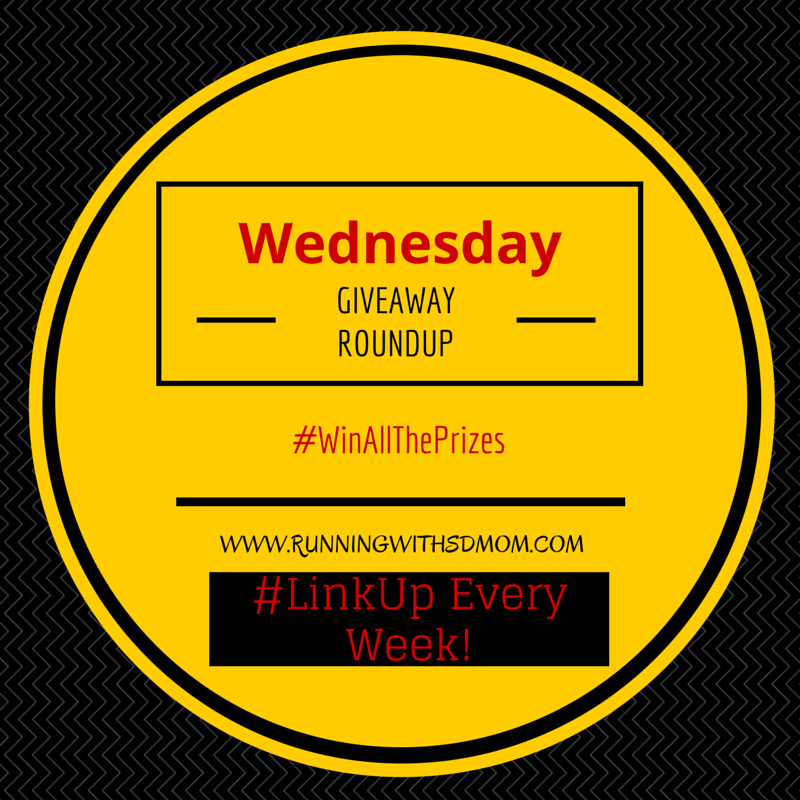 And so, without any further ado - Welcome to the Wednesday GIVEAWAY Roundup LinkUp! I would love any feedback, positive or otherwise! YAY! Hope to have more and more and more for you to click thru every week. Thanks for hosting the link up! Love the new format :) I couldn't add the badge today (my site is in the middle of being reworked) but I did link back in the post! Happy Hump Day! Thanks for hosting the giveaway round up. You are a star! Thank you for being a good Blend!